Why join doTERRA’s membership program? Before I joined doTERRA, I was a little hesitant to pay for a membership fee, but when I learned more about doTERRA I realized that I was actually getting a good deal. Not only do you start saving 25% off retail prices right away but you have the option to enroll in the loyalty rewards program (LRP), which is part of your membership. The LRP is where you will save the most money, and trust me, it is a significant amount of money! Why go LRP? Because who doesn’t want free oils?! 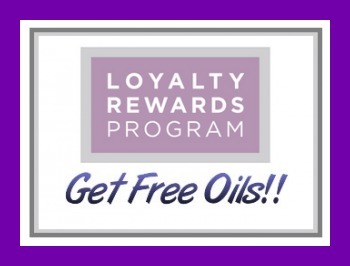 Of course we all want to have some free products dropped off by the mail man but it can be a bit overwhelming when reviewing doTerra’s info on the LRP aka Loyalty Rewards Program. 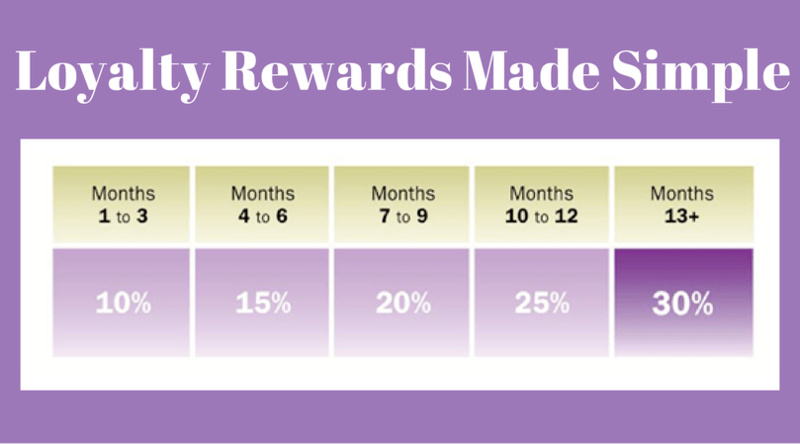 The Loyalty Rewards Program (LRP), rewards you for buying product “automatically” each month. In a nutshell, it is an autoship program where you choose the date each month your order will ship, and you have until that date to change your LRP cart. You do not have to order this way; however, this is where you earn greater discounts. It is best to set your ship date by the 15th to ensure you earn the Product of the Month with a $125 order. (I explain the Product of the Month below.) Your LRP order can be as big or as little as you want, but you’ll want to keep it at or above 50PV (approx $50) to continue to grow your personal volume (PV) earnings. But some months if you don’t have much to order, just order something small like lemon essential oil for 10pv so that you can still keep your points (you just won’t earn any points since your order is under 50pv). Anything that you put in your shopping cart (above 50 pv) will count towards earning you product credit to use the following month. Each product is assigned a PV. The PV is usually the same as the dollar amount spent per product, although on kits and packages can be less. The total PV can be found on the order form or in the shopping cart under the column labeled PV or Volume. For your first three months, you get 10% of your personal volume (PV) back as product points, 15% for the next three months, and so on until after a full year you’re getting back 30% of your personal volume (PV) in additional product. Anytime you place an order on doTERRA, you will want to use the LRP form, even if you already had your auto shipment for the month. You will keep earning credit on your orders even if you order multiple times a month, but only if you order through LRP. Additional perks to the LRP is the ability to earn a free product of the month. You have to set your auto shipment to ship before the 15th of the month and your LRP order must be at least 125PV. Remember that this is earned by the PV not the Dollar Amount on the order, so be sure to double check before you check out. And the final perk to ordering your product through LRP is that you will get 100% of your shipping costs back as credit to use on a future order! It usually costs about $9 to ship most orders with standard shipping so you would get $9 to use on product next month. The more you spend on doTERRA products, the more they’ll give you back for additional product. I hope this gives you a better understanding of PV and LRP. I realized how much money I was saving by joining doTERRA even after the first month. The membership enrollment fee is $35 (unless you purchase an enrollment kit and then the fee is waived), I purchased the family physician enrollment kit so I didn’t have to pay the $35 but if I did, it would have paid for itself after 1 month. Since I ordered everything off the LRP, I had $80 in product credit to use the next month. So I would have got my enrollment fee back, while still getting wholesale prices! You start off earning 10% of your order back in product credit and after a year can earn up to 30% back each month. These points go into an account that you can easily view online. Then you use those saved-up points to order FREE product. How much you get back increases by 5% every 3 qualifying months up to 30% (a qualifying order is 50pv or $50 in oils) So as an IPC not only are you saving 25% off of retail but you could earn up to 30% back of whatever you spend as well. When your PV is 125 or more AND you order by the 15th of the month you will also receive the Product of the Month totally free. You don’t do anything, they just wrap it up and include it in your order. Its different every month. When you enroll in the Loyalty Rewards Program you also can participate in the quarterly promotions. For example in December if your LR order was 200PV or more you got a free bottle of Frankincense! That’s $93 of retail product for free. It is different each time and always optional. The Loyalty Rewards program makes ordering easy. You save shipping by ordering once a month. Your payment information is saved and you choose the day that your order is placed from the 1st to the 28th of the month. Whenever I get my order I then go in and set up/change my order for the next month. Adding things to your LR order is as easy as logging in and clicking a few buttons. When your PV is over 100 you qualify for commissions. This is very important for when friends and family begin to sign up underneath you.